The Boeing 314 was a long-range flying boat produced by the Boeing Airplane Company between 1938 and 1941. One of the largest aircraft of the time, its massive wingspan enabled it to achieve the range necessary for flights across the Atlantic and Pacific Oceans. Twelve ships, designated Clippers, were built for Pan Am. Pan Am’s Clippers were built for “one-class” luxury air travel, a necessity given the long duration of transoceanic flights. With a cruise speed of 188 miles per hour (303 km/h) Pan Am’s scheduled flight between San Francisco and Honolulu was 19 hours. The passenger seats were convertible into 36 bunks for overnight accommodation. In addition there was a lounge and dining area with galleys crewed by top chefs. White-coated stewards served multi-course meals during the trip. The Boeing 314 inaugurated Pan Am’s trans-Atlantic service and on 20 May 1939, was first to operate mail service with the Yankee Clipper from New York to Marseilles, France via Horta, Azores and Lisbon, Portugal. The Yankee Clipper also inaugurated mail service between New York and Southampton, England about a month later. Trans-Atlantic passenger service was inaugurated on 29 June 1939 with the Dixie Clipper between New York and Marseilles, via Horta and Lisbon. 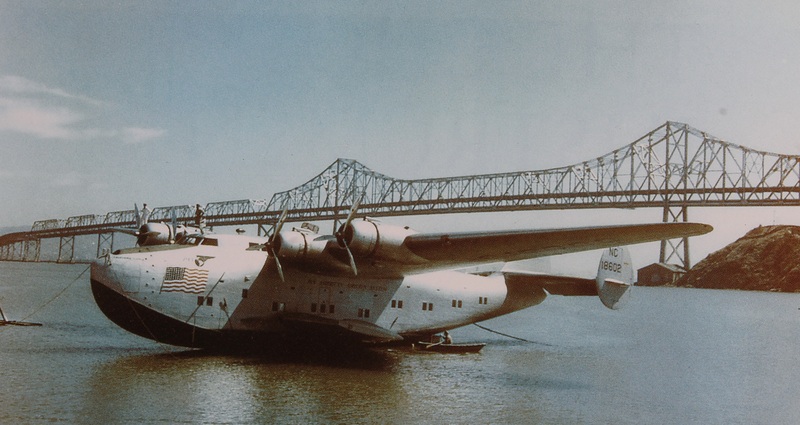 In January, 1942, the Pacific Clipper, commanded by Captain Robert Ford, completed the first flight around the world. Originating in San Francisco, the flight was required to return to the United States on a westward course due to military action after the bombing of Pearl Harbor. From Honolulu, the flight eventually arrived in New York after stopping in Canton, Suva (Fiji), Noumea, Auckland, Gladstone, Port Darwin, Surabaya, Trincomalee (Ceylon), Karachi, Bahrain, Leopoldville, Natal and Port of Spain. On 11 January 1943, President Franklin D. Roosevelt flew on the Dixie Clipper to the Casablanca Conference, becoming the first American president to fly on a commercial airliner while in office. The route was Miami-Trinidad-Belem, Brazil-Bathurst, Gambia and then by army transport to Casablanca. The return trip by the Clipper originated in Bathurst and stopped in Natal, Brazil and Trinidad, arriving in Miami 30 January 1943. Captain Bill Nash, a retired Pan Am pilot, joined the airline in 1942 and spent his first years in the flight deck of the Boeing 314. Below is a story he wrote about his experiences flying this aircraft. 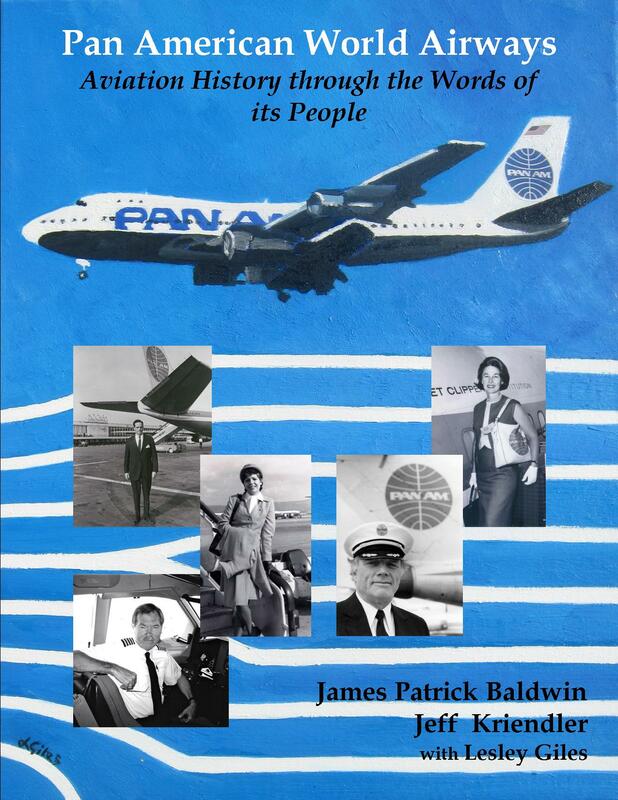 It appears in the book Pan American World Airways – Aviation History Through the Words of its People, published by BlueWaterPress. “When I joined Pan Am in 1942, one of the first phrases that I learned was “flying by the seat of your pants” – an old adage used to describe proper flying techniques. Before high-altitude jets flew commercially, we had to fly through wide storms rather than over them. To do so, we developed a seat of the pants technique – literally- whereby our bottoms were being bumped, rather than slipping or sliding. “Today, we have the sophistication and luxury of jetliners to fly over many of those boiling storm masses, cabin pressurization for oxygen supply, and radar to show us the dangerous storm cells, enabling us to fly around the violent depictions shown on the weather radar screen. “When crossing an ocean in a Pan Am flying boat such as the Boeing-314, we navigated celestially using an octant. Every Pan Am pilot was required to learn two methods of star computations to lay a position on the chart. On a Boeing-314 we had a glass hatch atop the cabin through which we could “shoot stars”. When the sky was partly cloud-covered, we plotted whatever navigational stars we could see. If the sky was overcast we could not use our octants. “In the daylight we could see wind streaks on the surface of the sea, shiny lines running 90 degrees to the waves. If we had cloud cover below as well as above, we would navigate by dead-reckoning, using the wind we thought we had. If clear below and we passed a ship we could see, we could compare our position with theirs. “Approaching a coast, such as much of the Atlantic shoreline, which could be a mass jungle, while receiving poor or no radio signals, we aimed at the shore off-coast 30 degrees left or right – wherever we considered the destination most likely to be. When we arrived at the coast we then followed the shore to our destination. If we had flown straight at the destination and saw nothing, we would not have known which way to follow the coast. “During a typical 11-12 hour flight, we usually took turns resting every 4 hours in our crew bunks. The props turned at 1,600 RPM’s and they vibrated violently. Consequently, it took some time to fall asleep. 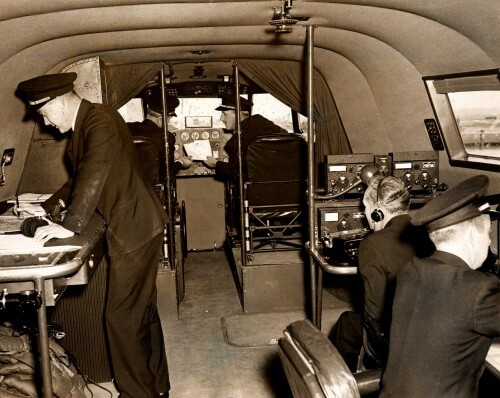 “During World War II on trans-oceanic flights, Pan Am crews had to learn how to decipher coded messages. At departure we received an envelope which was not to be opened until we were aloft containing the keys to the codes which were valid for only a certain number of hours and then changed. “The Boeing-314 crew consisted of a captain, first officer, second officer, third officer, fourth officer, first and second flight engineers and one Morse Code radio-operator plus varying number of flight personnel. Four or more male stewards were aboard, depending on the aircraft’s configuration. The work on board was considered too strenuous for stewardesses. Hefty, large-capacity life rafts had to be handled and there were ponderous bunks to be prepared for sleeping. 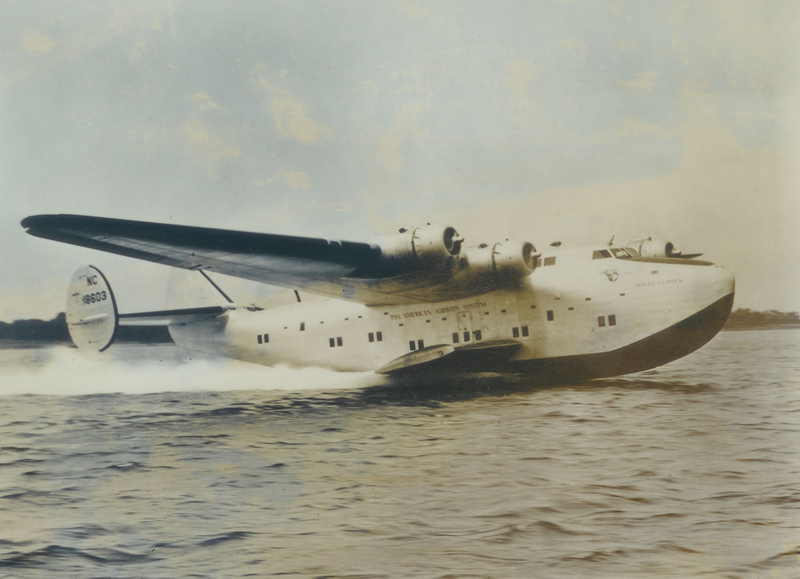 “The entire aircraft was First Class, and our flying boats often carried kings, queens, presidents and potentates. We were instructed to be pleasant with them if they addressed us, but not to seek out conversation. President Juan Trippe wanted us to be able to converse intelligently by keeping up with current events, and having a good knowledge of history and sensitive political issues. 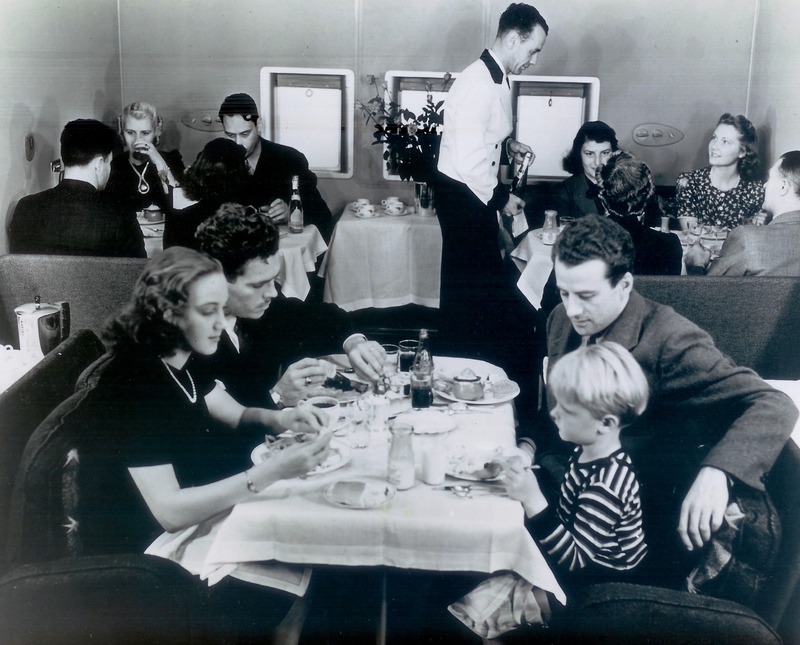 “Passengers enjoyed delicious meals that were prepared onboard and served in a 14-place dining room with black walnut tables in a silver and blue décor. The food was elegantly served in courses by stewards in white jackets, on pale blue table cloths with matching monogrammed napkins and china. Wine was always served and dinner was topped off with fancy desserts, fruits and cheeses, and a cordial of crème de menthe. Sometimes there was a captain’s table. After dinner, the dining room was converted into a lounge where some passengers chose to relax while others went to their cabins to sleep. “The Boeing-314’s were retired from Pan Am’s service in 1946, after World War II. Not one survived, and only a few parts exist in museums which to me, is very sad. Clare Booth Luce, a playwright, United States Congresswoman and Ambassador to Italy, returned to the US aboard a flight on the Boeing-314 and said “Years from now, we will look back upon Pan American’s flying boats as the most glamorous, romantic air travel in the world”. Bill Brenton Nash was a Pilot with Pan American from 17 August 1942 to 1 June 1977. Now 96 years old, he lives with his wife Eva in Southwest Florida.